Simpsons has been around a long time. This is an historic shaving company with a great reputation. They’ve been around since 1919, when Alexander Simpson began producing shaving brushes in the East End of London, and for that whole time, they’ve made all of their brushes by hand. Today, we’re reviewing three of the most popular Simpson shaving brushes. It’s very easy to see that Simpson puts a lot of energy into creating a good brush. The materials are high quality, and everything is still made by hand. However, the price tag is (and always has been) fairly steep. Floating around $60-$120 (and even more for their top-end brushes), it’s a significant investment for the average Joe. So, the question we want to answer is: For the modern gentleman who has access to dozens of other brushes from just as many manufacturers, are Simpsons shaving brushes worth the price? Let’s find out. Regardless of what type of razor you use in your shave routine, one area to go all the way with is a shaving brush. 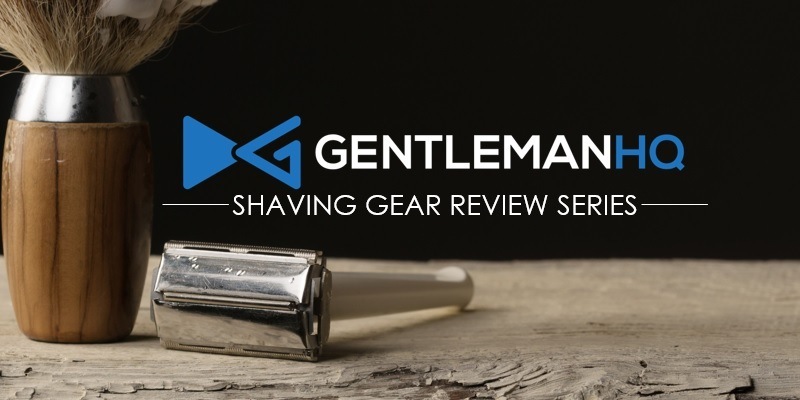 There are a lot of awesome benefits to using a shave brush and we are sure that you will be sold on one once you hear what we have to say. For starters, using a shaving brush is a great way to work up a rich lather that will get you the close shave you’ve been waiting for. The texture of the lather that is created with a shaving brush is unlike anything that you can get from an aerosol can and it functions better too. The whole point to shaving cream and shaving soap is for it to lubricate your face and coat each hair while it is lifted from the skin. This process doesn’t happen as well when you squirt foam out of a can, but it does occur when a shaving brush is used with the right cream or soap. So, basically what we are saying is that a lather worked up by a brush is the way to go for a close shave and smooth skin. Shaving soap comes in solid pucks that require the use of a shaving brush to work up the right lather for your shave, so they need each other in order to do their jobs. If you have sensitive skin that is prone to breakouts and irritation, you may want to consider investing in these two things in order to spare your face of undue torture. You see, shaving soap is actually a very mild lubricant with a light fragrance if it even has one at all, so the risk of irritation is far less than with shaving cream (even the good kind). There is a bit of a learning curve when you are just starting out with the shaving soap and brush combination, but you will have it down to a science quickly if you give it enough time and practice. We’d be here all day if we tried to list all of the different shaving brush options available to you, so a cursory glance will have to do. You have 4 main bristle types to choose from and each has its benefits that meet the needs of specific shavers. You can choose between bristles that are made from boar, badger or horse hair. There is also a synthetic bristly option for those that would rather go the cruelty free route. The handle comes next, which again has a ton of options to choose from. You really want to focus on how it fits in your hand and how you are able to manipulate it first and foremost with cosmetic appearance coming into play after function. We know that this is a lot of information to take in at once, but we figured it was best to give it to you straight and all at once. 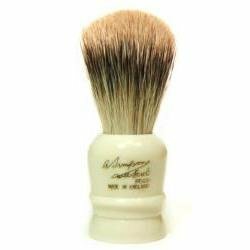 Think about everything that we have talked about today and give a shaving brush a test drive. Super Badger. Simpsons’ Super Badger hair long and has a lighter tip. Sometimes the tips on these brushes are almost white. Simpson really doesn’t make brushes with super soft hair, but this is among the softest they use. Models that use Super Badger hair include the Chubby, the Major, the Emperor, the Persian Jar, the Polo and the Tulip. Best Badger. This line of hair is long or medium length. It tends to have a slightly lighter base and a dark, creamy top. Nearly all of Simpsons’ brush models include a Best Badger version. Pure Badger. For the real men among us, Simpsons offers the Pure Badger line of brushes, which are made from coarse, dark hair of medium or short length. Models that use Pure Badger hair include the Case, the Duke, the Beaufort, the Special, the Berkeley and the Eagle. Obviously, these are some pretty expensive brushes. So what really are you buying? Well, first, like all Simpsons brushes, it’s made of real badger hair. With the Chubby series, you can select either Super or Best Badger hair. So, lot of what you’re paying for here is the hair. Each version of the Chubby is bigger than the one before (so CH1 is the smallest and CH3 is the biggest), and more hair = a higher price tag. The size of these brushes doesn’t really affect how well or quickly it produces lather, though, so the size you choose will probably be personal preference based on how big you like your brushes. 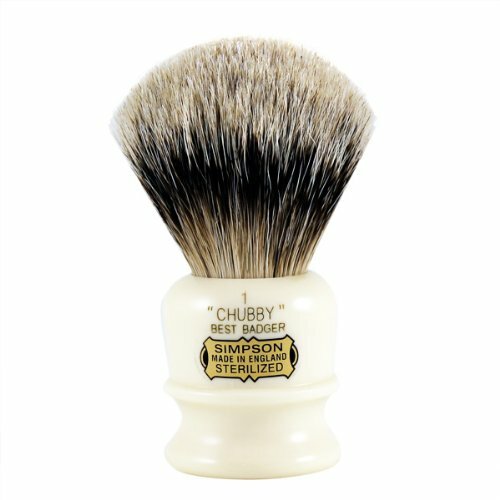 When you use a Chubby, you’ll notice the knot is super densely packed, so even the smallest Chubby contains a surprising amount of hair. Even if you get the Super Badger version, you can expect a pretty stiff brush, which is something to keep in mind before you buy. We usually like a stiff brush, since we find it lubricates more thoroughly and produces a nicer lather, but if you’ve got a sensitive face, you may need a softer brush (note that this does not mean the brush is scratchy; it isn’t – it’s just stiff). Still, this is a world-class brush. The Duke comes in three sizes (Duke 1, 2 and 3) and two hair types: Best Badger or Pure Badger. So, this is a rather stiff brush. It’s Simpsons best-selling brush as well, probably because it’s in more of a middle-high price range. You can get this brush for about $80-$100. Simpsons has a reputation for packing their brushes with incredible density, and this is definitely true of the Duke. Like the Chubby, it contains a deceptively large amount of hair. The Duke does well with hand, bowl or face lathering, but it’s particularly well-suited for bowl lathering. When combined with a really well-lathering soap, like the Art of Shaving’s sandalwood shaving soap, the amount of lather you can get is really incredible. You can easily get three passes out of one whipping, and you can probably get 4-5 if you’re, like, shaving your dog or something. This brush lathers so nicely primarily because the high-quality bristles soak up so much warm water, releasing moisture evenly into your soap, so you don’t have to add water on your own, which can turn a good lather into a watery mess. 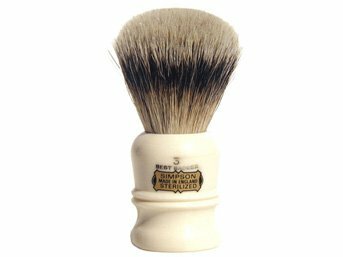 The Duke is a classic by any standard, and is definitely a brush worth getting if you’re in the market for something that will last you a long time. Simpson offers a range of small brushes. Most of their brushes come in different sizes, but a few are particularly small, like the Wee Scott and the Case 1. These are great travel brushes, of course, but depending on how you like to shave, you might look to using one of these as your go-to brush. Advantages of a small brush: You’ll have a lot of control. Small brushes are great for guys who want to keep a bit of facial hair. They allow you to work around your features with a lot more accuracy. Additionally, small brushes usually lather just as well as big brushes, so you won’t be sacrificing your lather. They’re also great for guys with smaller hands. Advantages of a big brush: While you have a bit less control, big brushes tend to give you a better spread and superior exfoliation. It’s much easier for a large brush to saturate your hair and follicles to lubricate them sufficiently. So, if you have sensitive skin, have really thick hair or are prone to breakouts, a big brush might be the way to go. If you prefer a small brush, both the Case 1 and the Wee Scott share all the characteristics of Simpson shaving brushes: dense knots, super high-quality hair and a well-designed, ergonomic handle.